Chris O'Connell is a "48 Hours" producer. He recounts retracing a Brooklyn woman's international investigation into her mother's disappearance and murder for the episode, "Red Notice for Murder." It was a daunting task -- set up a week of shooting to retrace Nadia Ford's investigation into her mother Alla Aleksenko's disappearance and murder in a remote part of Russia at a time when U.S. and Russian relations were at their lowest in decades. Add to that equation the fact that Nadia was heading from Brooklyn to her hometown of Krasnodar, a regional capital a few hours from the Black Sea, for the first time since her mother's remains were found, and I knew we were in for both an interesting and emotional journey. From the moment we landed in Krasnodar with Nadia our cameras were rolling as we jumped into retracing and expanding Nadia's amazing investigation that started when her mother mysteriously vanished in October 2014. 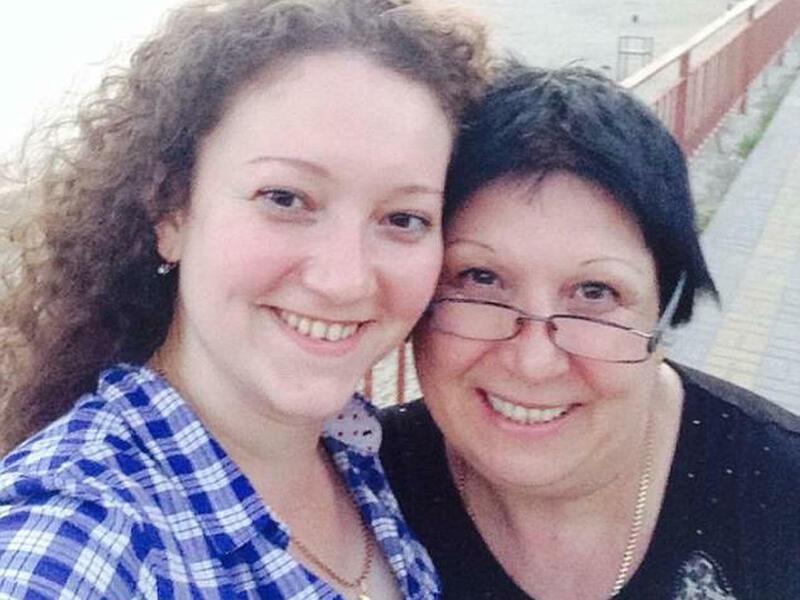 Nadia jumped on a plane and was in Russia within three days of losing contact with her mother, tracking down clues, following leads and pressuring the local and national police to take seriously her claim that Viktoria Nasyrova was the culprit. For me, in every "48 Hours" story I work on, there is a moment in the field that truly puts the gravity of a person's loss into perspective, and in this story it was the moment we walked into Alla's apartment. From the second we opened the door and over the course of the next several hours, we filmed in what I can only describe as a cross between a preserved crime scene and an apartment-sized memorial to a loved one. Nadia, who bought the apartment for her mother, had not moved a single item since the day she walked into the place three years earlier searching for answers. In some way it appeared that she was keeping the home ready just in case the whole terrible experience just turned out to be a bad dream and her mother would walk in and begin cooking her favorite dish for dinner. And yet, Viktoria Nasyrova didn't stop there. Back in the U.S., we only had to travel a few miles from our office in Manhattan to Queens to find other victims of Viktoria's alleged crime spree. Both Olga Tsvik and Ruben Borukov described for us how Viktoria allegedly tricked them into eating food that was laced with some kind of knock out drug. Though putting a knock out drug in a piece of cheesecake may seem like a plot out of an old cartoon, it was very real for Olga and she came very close to dying. I suspect that there will be more victims to speak up and contact police after our story airs, and I look forward to seeing how the unbelievable case of Viktoria Nasyrova plays out in both the U.S. and Russian court systems over the next few years.